1. Remove the base of the endive and carefully separate into spears to create small bowl. 2. 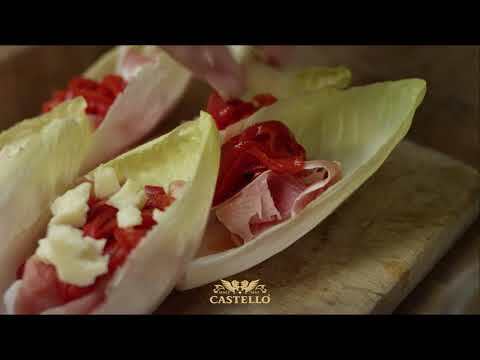 In the Endive leaves place slices of Parma ham and thinly sliced grilled peppers. 3. Break the cheese into coarse bits and sprinkle on top. 4. Finish with thin slices of chilli and fresh oregano.